Alun John Richards, SB, 239 pages, Gwasg Carreg Gwalch, 1991. 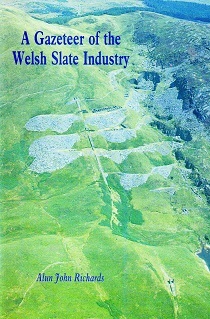 This volume contains archaeological detail and brief historical notes of some 400-plus slate quarries and mills in Wales - every single site having been explored by the author, usually accompanied by his patient wife. Divided into geographical sections, it represents some 20 years of fieldwork.